Imagine having the best of both worlds: all 8 hectares of camping luxury situated in a ready-built holiday camping site whilst simultaneously just a short train journey away from one of the world's most beautiful and unique cities in the world. Paris Est, via Lux-Camp, are delighted to offer all of this and more, thus providing an endlessly enjoyable luxury camping holiday in a comfortable mobile home, and what's more, you don't even need to bring your own tent, for it is all ready and waiting for you! In addition to the grocery store on-site, it goes without saying that the City of Lights itself is just around the corner! The commune of Champigny-sur-Marne is just 500 metres away from the campsite and will also have everything you need. If you are looking for the perfect opportunity for luxury camping in the Paris area, look no further than Lux-Camp and the Paris Est site! Why choose Paris Est for your next holiday? 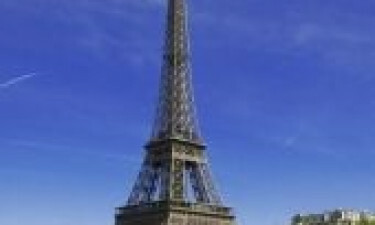 Below you will be able to read more about the reasons why you should choose to go on holiday to Paris Est. All of the necessary facilities are close to hand on-site, such as laundry, Wi-Fi and an on-site supermarket. Paris Est is within walking distance of a variety of historic bars and venues, such as the Guinguette Chez Gégène. As the name of the site suggests, the luxury camping site of Paris Est is only a short train journey away from the delightful city of Paris itself. Paris Est also serves as an ideal base for families, with a playground on site and tickets for sale to the nearby Disneyland® Paris resort. With Disneyland® Paris just a short journey away as well as to a variety of stunningly beautiful and renowned castles – not least Versailles – Paris Est is the ideal base with which to explore the surrounding area aside from the city of Paris itself. 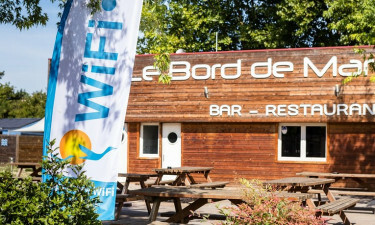 The Guinguette Chez Gégène is a five minute walk from the campsite, and offers the very best outdoor dining and opportunities to let your hair down and dance! All 73 hectares of the peaceful Parc du Tremblay is also close by. As well as the nearby leisure facilities, Paris Est offers an on-site restaurant (both with a menu and 'a la carte' options) and food to take away. The supermarket provides the opportunity to cook yourself in your luxury tent, if you'd prefer. Sometimes it is ideal to just relax and allow the children to take control of their own adventure. 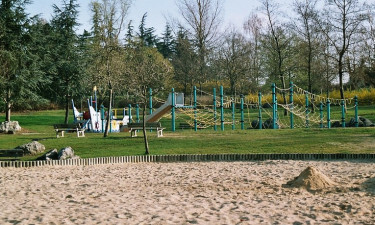 Bearing this in mind, Paris Est offers a large playground area to keep the kids entertained whilst you can enjoy the peace and quiet of your bungalow tent.